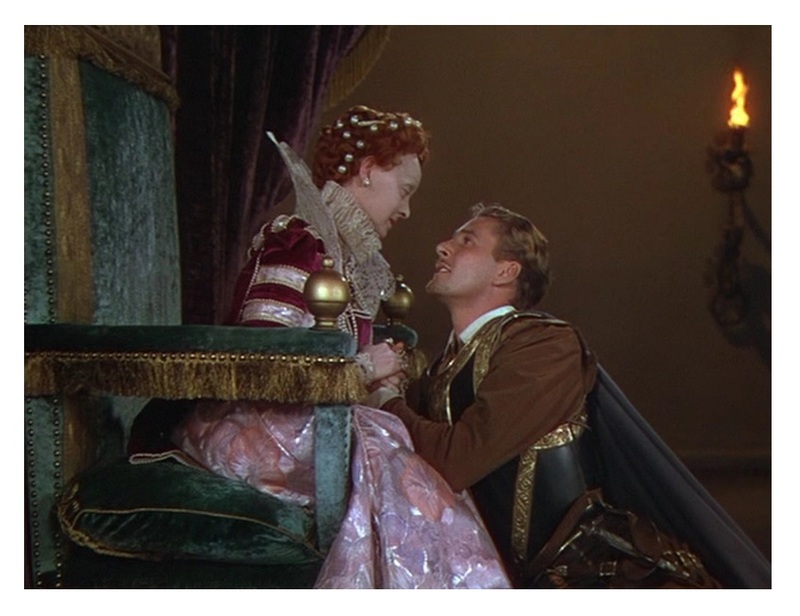 This historical drama revolves around the tempestuous relationship between British monarch Queen Elizabeth I (Bette Davis) and her lover Robert Devereux, the Earl of Essex (Errol Flynn, Captain Blood). Handsome, emotionally-charged biopic, not all that accurate — the events were more faithfully presented in the celebrated 1971 BBC TV miniseries Elizabeth R — but a terrific example of Hollywood’s Golden Age filmmaking. The Private Lives of Elizabeth and Essex (also known as Elizabeth The Queen) benefits from Warners’ well-oiled machinery and a sturdy cast. Norman Reilly Raine and Aeneas MacKenzie adapted Maxwell Anderson’s 1930 play Elizabeth The Queen, and they wisely downplayed the complicated dynamics of court intrigue and amplified the romance and even added a bit of swashbuckling action. In addition, director Michael Curtiz (Casablanca) fights like hell to keep the narrative from ever becoming stately. The result is an engrossing and entertaining period piece. The beautiful Oscar-nominated Technicolor cinematography (by Sol Polito, W. Howard Greene) is an added bonus — this is an absolutely gorgeous-looking movie! Interestingly, Bette Davis was never satisfied with Errol Flynn’s performance — she never got over the fact that she wasn’t able to get Laurence Olivier (Wuthering Heights and Rebecca) for the part — but then, she was not happy with her own work either. Davis always thought that she did a better job (as Elizabeth) in 20th Century Fox’s The Virgin Queen (1955). I think she was wrong on both accounts. First, while Olivier was better equipped to handle Anderson’s verse, he lacked Flynn’s irresistible easy-going charm. I think Flynn was a perfect choice for the role because the real Essex was a case of “style over substance,” which is how you would describe Flynn’s movie persona. 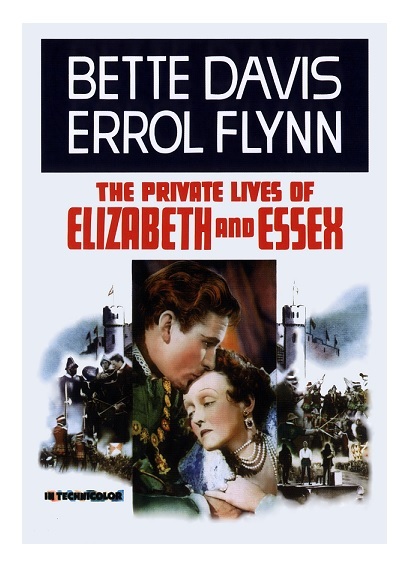 In real life, Flynn exasperated Davis with his lackadaisical attitude, and according to the movie, that is exactly how Elizabeth felt about Essex. And whether Davis was willing to admit it or not, she and Flynn had great chemistry. 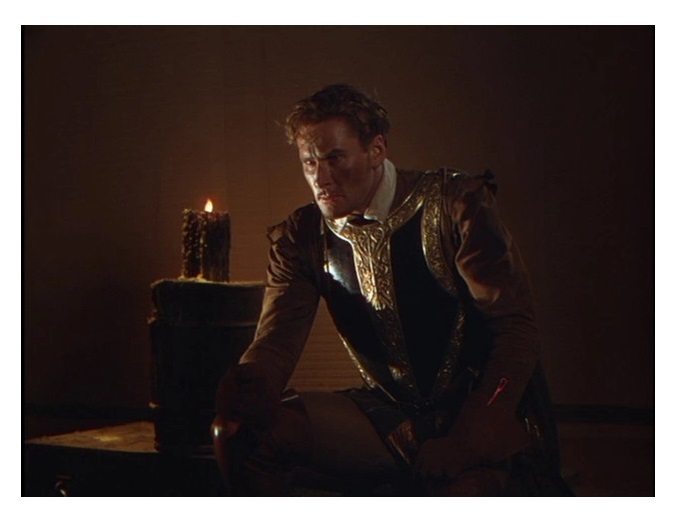 Finally, as much as I like The Virgin Queen, Elizabeth I is nearly a supporting character in that film. 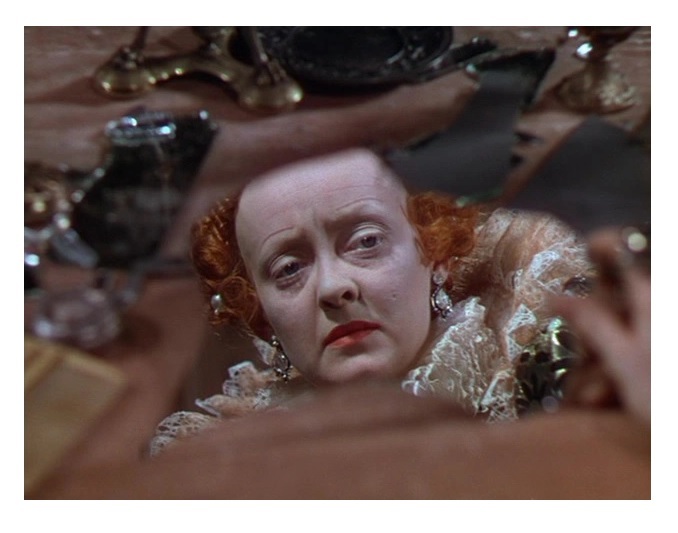 Here the Queen is at the center of the story, enabling Davis to create a much fuller characterization. While Davis is indeed too young for the role, I still think she did a great job — Davis’s “Virgin Queen” is every bit as good as Flora Robson’s, Glenda Jackson’s, Cate Blanchett’s and Helen Mirren’s. My only disappointment is that Olivia de Havilland (Gone with the Wind) was given so little to do. She plays a lady-in-waiting — a truly thankless role. Alan Hale (The Adventures of Robin Hood) appears briefly as an Irish Gaelic lord. And, in one of his very first films, Vincent Price (House of Wax) plays Sir Walter Raleigh. The strong cast also includes Donald Crisp (Lassie Come Home), Henry Daniell (The Body Snatcher), Henry Stephenson (Mutiny on the Bounty), James Stephenson (The Letter), and Nanette Fabray (The Band Wagon). As I said before, this IS a handsome production. In addition to Polito’s and Green’s camera work, Anton Grot’s (The Sea Hawk) eye-popping sets will blind you with their beauty. Erich Wolfgang Korngold’s (The Adventures of Robin Hood) majestic music score is one of his best. The period-sensitive costumes were designed by Orry-Kelly (All This, and Heaven Too and Mr. Skeffington). The Private Lives of Elizabeth and Essex has a tendency to rely on words rather than action, but the movie moves quickly, swiftly, and the actors’ lively work keeps the story interesting and entertaining. Color, 106 minutes, Not Rated. Flynn was a much better actor than he’s given credit for. I feel with stars such as him who are remembered more for their status as icons rather than their acting ability, their talent often gets overlooked. Agreed. Flynn is still a very underrated actor. Because he was so good-looking and made mostly genre films he is not taken more seriously.